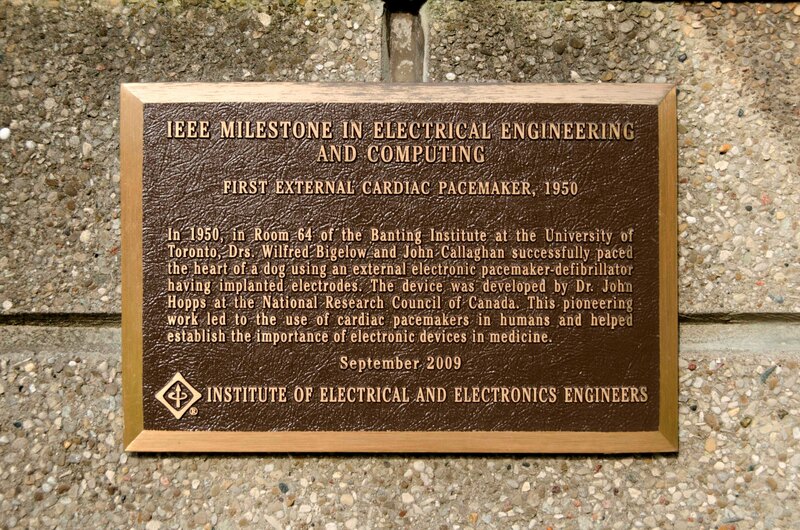 This bronze memorial tablet remembers the first experiment with an external cardiac pacemaker carried out in 1950 at the Banting and Best Department of Medical Research in Toronto. 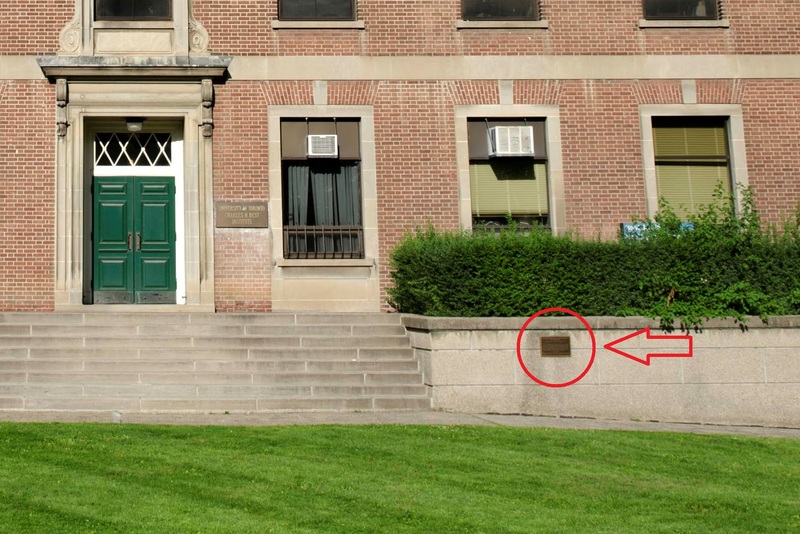 The inscrptions reads as follows: "In 1950, in Room 64 of the Banting Institute at the University of Toronto, Drs. Wilfred Bigelow and John Callaghan succesfully paced the heart of a dog using an external electronic pacemaker-defibrillator having implanted electrodes. The device was developed by Dr. John Hopps at the National Research Council of Canada. This pioneering work led to the use of cardiac pacemakers in humans and helped establish the importance of electronic devices in medicine". The memorial tablet was placed in September 2009 by the Institute of Electrical and Electronic Engineers as an "IEEE Milestone in Electrical Engineering and Computing".